Several Cabinet ministers only backed a Heathrow 3rd runway on the condition that the Government ensured there was a proper night flight ban. At a meeting in his Englefield Green constituency, the Chancellor, Philip Hammond hit back at airlines – like IAG – that are pushing strongly for early morning flights, which cause noise misery for many local people, to be allowed to continue. 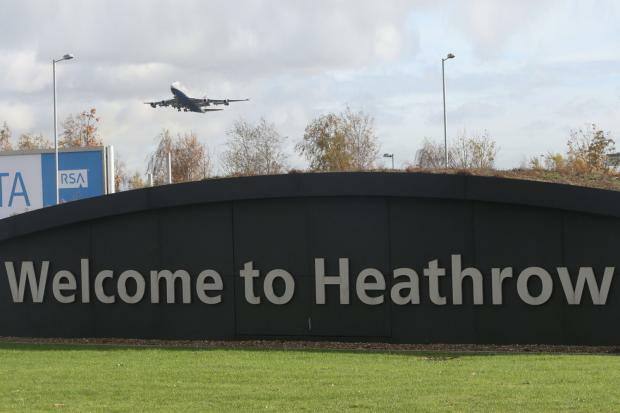 He told local residents in his Runnymede and Weybridge constituency that he supports Heathrow expansion if measures proposed by the Airport Commission (Chairman, Howard Davies) were guaranteed to protect communities close to the airport. The Commission said there should be a ban on all scheduled [ignoring un-scheduled however] night flights between 11.30pm and 6.00am. Heathrow has proposed 11pm to 5.30am – it wants early flights. IAG has said it needs flights landing early, and at the terminal, by 5.30am and then a large number of flights before 7am. Few people consider 5.15am the end of their period of sleep, so that is entirely unacceptable to anyone who is woken by plane noise. Evidence shows many health impacts of sleep disturbed by plane noise, including cardiovascular impacts and Type 2 diabetes. Several Cabinet ministers only backed a third runway at Heathrow provided the Government does not give in to airlines seeking to water down a night flight ban, the Chancellor has revealed. Philip Hammond hit back at airlines who are campaigning for early morning flights, which cause noise misery for many local people, to be allowed to continue. He told local residents in his Runnymede and Weybridge constituency that he supports Heathrow expansion if measures proposed by the Airport Commission, chaired by Sir Howard Davies who is now chairman of the Royal Bank of Scotland, were guaranteed to protect communities close to the airport. They included a ban on all scheduled night flights between 11.30pm and 6.00am. “We’re not supposed to talk about what happens in Cabinet meetings but I will tell you when we made decision to support the third runway, I said and many of my colleagues said we make this decision on the basis that we accept Davies recommendations in the round including mitigations that Davies has proposed,” he said at a meeting in Englefield Green in his constituency. Currently, around 16 night flights are permitted between 4.30am and 6am a day to allow overnight long haul flights to arrive very early in the morning. The Government has backed a six-and-a-half hour night flight ban between 11pm and 7am but has not yet specified the exact period. Heathrow has proposed 11pm to 5.30am. Mr Hammond, who appeared to be backing the Davies recommendation of the night flights restrictions lasting until 6am, told the meeting on Friday: “There should be a statutory ban on them. But the airlines (are) already fighting back. He added that regulations have meant that planes have to fly direct to their destination but he believes this should be changed. “It must be possible to allow aircraft arriving in the vicinity early in the morning before the curfew ends to hold somewhere safe, over the sea, for an hour or hour and a half before coming in,” he added. Robert Barnstone, campaign co-ordinator for Stop Heathrow Expansion, said: “Any talk of night flight bans need to take effect now, with an unexpanded, two-runway Heathrow. A spokeswoman for Mr Hammond stressed a bigger Heathrow was the only option to maintain a global hub airport in London but that as an MP with a constituency affected by its expansion, his “priority” was to ensure the Commission’s measures to protect local communities were delivered. Posted: Tuesday, April 4th, 2017. Filed in Blog, News about Airports, Noise News, Recent News.